The newly sworn in government has managed to usher some incremental changes in Myanmar. Even after winning an overwhelming mandate in the recent held elections, Suu Kyi could not become President as constitutional provisions barred her from becoming one. Nonetheless, she was appointed as foreign minister and as special “state counsellor” which was a post created by the new government despite opposition from the military members of the Parliament. In another bold move, political prisoners of the junta era were freed by the NLD led government which was achieved after the military-dominated Defence and Security Council was bypassed. Suu Kyi as State counsellor also decreed against corruption and nepotism among officials. Despite these achievements, there has been precious little advance in the reconciliation of ethnic groups in Myanmar which has become one of the most glaring problems of the country. In the recently concluded Joint Monitoring Committee which comprised of representatives from the government, the military and the eight non-state armed groups that signed the nationwide ceasefire agreement (NCA) with the former government of President Thein Sein in 2015, Suu Kyi called for a major peace conference styled on the Panglong Conference with ethnic minorities. The state visit by President Pranab Mukherjee to Papua New Guinea (PNG) and New Zealand marked an important milestone in India’s extended ‘Act East’ policy. It signalled the new momentum that has emerged in India’s relations with the Pacific Island Countries (PICs) since Prime Minister Narendra Modi assumed power in May 2014. In August 2015, leaders from 14 PICs — Cook Islands, Fiji, Kiribati, Marshall Islands, Micronesia, Nauru, Niue, Samoa, Solomon Islands, Palau, Papua New Guinea, Tonga, Tuvalu, and Vanuatu — visited India for the second summit of the Forum for India Pacific Cooperation (FIPIC), which was launched during Modi’s visit to Fiji in November 2014. 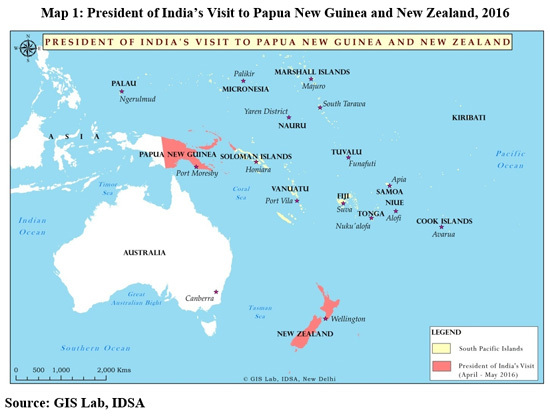 The importance of the latest visit by Mukherjee lay in the fact that it was the first Presidential visit from India to Papua New Guinea and New Zealand as well as the first high-level visit from India to Papua New Guinea. While almost every state in the Red Sea and Horn of Africa subregion qualifies as high risk internally, none of the countries in the subregion constitute a serious strategic risk to the Indian Ocean Region (IOR). Two key strategic issues affect the subregion and the IOR: 1) maritime piracy and 2) the security of maritime traffic and energy exports through the Red Sea and the Suez Canal. Currently, these strategic issues present a low overall risk to the IOR. The international community’s anti-piracy efforts have been a great success in the subregion. As reported by NATO, since May 2012 there have been no successful pirate attacks off of the Horn of Africa; this is down from the peak point in 2009, a year that saw 52 successful hijackings. Anti-piracy policing efforts, such as NATO’s Operation Ocean Shield (OOS), the EU’s Operation Atalanta, and the US Combined Task Force 151, provide a significant force presence in the Indian Ocean, forcing pirates to reconsider conducting operations. Out of 190 globally reported instances of piracy in 2015, not a single one took place in the Red Sea or off of the Horn of Africa. At present, NATO’s OOS only deploys surface vessels intermittently, signaling the alliance’s confidence in the IOR’s maritime security. Kenya’s military intervention against al-Shabaab in Somalia also contributed to the demise of piracy near the Horn of Africa. Operation Linda Nchi resulted in the capture of the major al-Shabaab stronghold at the port of Kismayo in southern Somalia. Additionally, commercial vessels transiting the region have increased precautions; either by fortifying themselves against attacks using a wide array of non-lethal weapons, or by rerouting altogether. It is difficult to gauge what would happen if anti-piracy operations were to cease near the Horn, but instability in Somalia, and now in Yemen places many young men into extreme financial- and security-related trouble, priming the region for the potential resumption of piracy operations should maritime policing ever wane to a point where these activities could be deemed viable again. Among all the imminent actions of the recent meeting of Parrikar and US Secretary of Defense with their rapid and uneven defense procurement there is something new in the box. This visit is seen very closely in certain quarters by neighboring countries because of their continuous military modernization and nuclear arms procurement stimulates massive and growing impacts-creating unrest in Asia in the past and may do so in future as well. This new found access to boost defense ties seems to be a welcoming effort to this unending race of achieving massive military assets. The problem, however, is the Indian long haunted increase in defence spending which threatens to upset and upsurge the delicate military balance. With expanded India/US defense relationship with co-production of US defense system in India, if ever there was a question about Indian continuous hike to 6.3 percent in defense spending every year, suffice for any volatile situation. Accelerating at a fast-track, where these deepening ties between New Delhi and Washington also allowed both partners to commerce a civil nuclear deal where former is a non-signatory to NPT, which is not a stable geometry for region. Post 9/11 shifted the world’s opinion on terrorism as nations voiced together to eliminate this threat, which then forced nations to redefine the word “global offensive” and “governance” and launching a series of new debate on “state security”. Within the UN, the opinion seems to be divided on global counter terrorism policy as many experts believe that the policy will be “Northern” in nature whereas most casualties are witnessed by South-North and South-South countries. With many fearing adverse impacts of counter terror policies on human rights and sustainable development, member nations haven’t been able to bring voice together on this issue. It is important for member nations to understand the need for a counter terrorism policy which will not only bring them unanimous on the international arena, will leave strong message for the perpetrators. With this sudden shift in policy, nations are now adopting defensive mechanism rather than taking a proactive role in offensive techniques against such military groups. 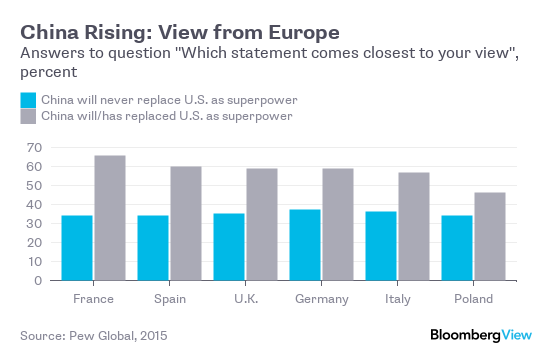 If there's one thing on which Europeans agree with Donald Trump, it's that the U.S. is gradually losing to China. The Middle Kingdom is working hard to improve its image in Europe and investing lots of money along the way. The Queen of England may think Chinese officials are "very rude," but outside Buckingham Palace they are winning influence and friends. None of this appears to make Europeans particularly happy. On the whole, they still mistrust China more than they do the U.S. According to Pew, 83 percent of Italians and 50 percent of Germans have a favorable view of the U.S., compared to 40 percent and 34 percent with a favorable view of China. Even so, those perceptions have been changing in recent years. The national security advisor needs to find the right balance of cooperation, conflict, competition and containment. Later this week, National Security Adviser Ajit Doval is expected to visit Beijing for the 19th round of the Special Representative talks, which now cover the original subject –­ the border dispute – as well as the gamut of economic and political relations between the two countries. His visit on Wednesday will follow that of Defence Minister Manohar Parrikar, who will be in China from Monday. While Parrikar will focus on the military-to-military ties, especially the follow-on of the Border Defence Cooperation Agreement, Doval will look at wider strategic issues, which includes the border dispute. However, the Indian side is currently cut up over the hold that has been placed on India’s application in the UN Security Council committee to have Jaish-e-Muhammad chief Masood Azhar designated as an international terrorist. China is a member of the council. Six different missiles capable of reaching Guam from China are deployed or in late stages of development, says the report by the U.S.-China Economic and Security Review Commission. 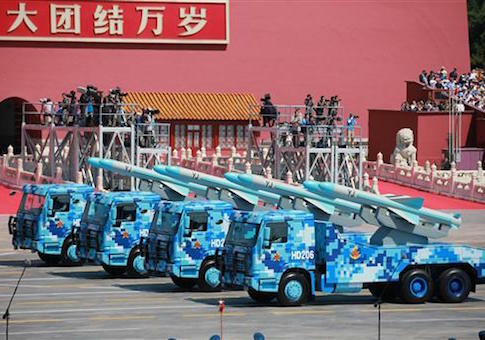 They include the DF-26 intermediate-range missile that Beijing unveiled during a recent military parade, and dubbed the “Guam-killer,” that can be armed with both nuclear and conventional warheads. The report put the risk of a Chinese attack on Guam as low. ‘Today’s attack is a reminder that Isis is still able to commit atrocities across Iraq, and continue to operate as it has done for more than a decade. “Isis is an idea, not the first of its kind and not the last of its kind,” said a powerful security official when I visited Iraq last month. Indeed, as the international community boasts of Isis’s demise, the jihadists struck a Shia district in Baghdad today, killing at least 63 people and wounding 80 in a series of devastating market bombings. Officials say that Isis has lost almost half its territory in Iraq and more than 20% in Syria. It is true that Isis leaders are being eliminated and its infrastructure devastated. But while Isis may be losing the territories it governs, today’s attack (and others over the past months) is a reminder that it is still able to commit atrocities across Iraq, and continue to operate as it has done for more than a decade. In other words, a world without Isis is unlikely to come any time soon. 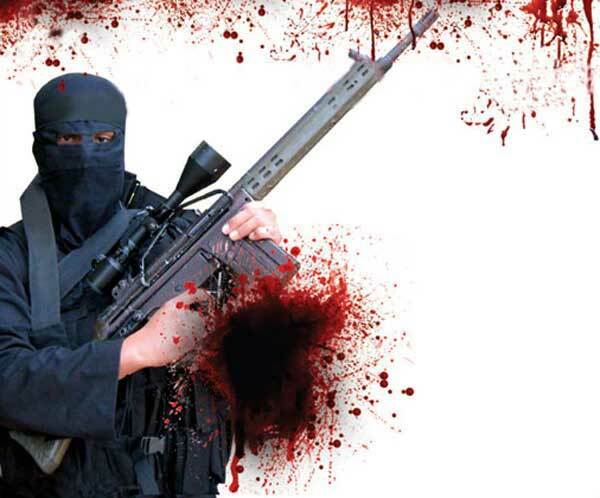 Isis thrives off the lack of institutions in weak or failed states. Remedying this requires good governance, institution-building and the reconciliation of divided communities. But rehabilitating Iraq’s cities and people will prove to be far more costly and challenging than defeating Isis itself. Sectarian tensions, dysfunctional governance and regional polarisation have worsened since Isis came on the scene, factors that precipitated the group’s rise in the first place. Prince Saud al-Faisal of Saudi Arabia once defined civilization as “the collective effort of human genius built on cumulative contributions from many cultures.” The two key words here are “collective” and “cultures.” The crucial truth in that definition of civilization is the understanding that no single culture has a monopoly on human experience and that civilizations are not competing products in a marketplace of global ideas. The way civilizations evolve is through a collection of many contrapuntal voices that drive ever forward for the sake of common human progress. This is the first step toward understanding that humanity is currently embroiled in a struggle for civilization rather than a clash between civilizations. Building a renaissance is characterized by the breaking down of walls and the free interchange of ideas. The most important light toward this path is to discover the contents of these many cultures. Meeting people face to face, reading their poetry, listening to their songs, and experiencing one another’s stories are prime reasons why both artists and diplomats alike will never be replaced by computers. As long as human beings remain human, personal interactions will remain irreplaceable. And that is why cultural diplomacy is so important and why it is damaging when it is underappreciated. What went wrong? Erdoganists — yes, some of them call themselves that — have a simple answer: a conspiracy. When Mr. Erdogan made Turkey too powerful and independent, nefarious cabals in the West and their treacherous “agents” at home started a campaign to tarnish Turkey’s democracy. Little do they realize, of course, that this conspiracy-obsessed propaganda, the self-righteousness it reflects and the hatred it fuels are part of the problem. To understand why the Turkish model has let us all down, we have to go back to the 2001 founding of Mr. Erdogan’s Justice and Development Party, or A.K.P. At that time, Turkey was under the thumb of secularist generals who would overthrow any government they couldn’t control. In 1997 they ousted the A.K.P.’s Islamist predecessor, so the founders of the new party put forward a post-Islamist vision. They had abandoned their old ideology, they declared. Their only priorities now were bringing Turkey into the European Union and moving the country toward liberal democracy. At the bottom of a hill near the frontline with Islamic State fighters, the Iraqi army had been digging in. Their white tents stood near the brown earth gouged by the armoured trucks that had carried them there – the closest point to Mosul they had reached before an assault on Iraq’s second largest city. For a few days early last month, the offensive looked like it already might be under way. But that soon changed when the Iraqis, trained by US forces, were quickly ousted from al-Nasr, the first town they had seized. There were about 25 more small towns and villages, all occupied by Isis, between them and Mosul. And 60 miles to go. Behind the Iraqis, the Kurdish peshmerga remained dug into positions near the city of Makhmour that had marked the frontline since not long after Mosul was seized in June 2014. The war had been theirs until the national army arrived. The new partnership is not going well. Dozens of people were killed by a car bomb in a crowded food market in the Sadr City section of Baghdad on Wednesday. By REUTERS and THE ASSOCIATED PRESS on Publish DateMay 11, 2016.Photo by Wissm Al-Okili/Reuters. BAGHDAD — In a burst of attacks recalling Iraq’s sectarian civil war, three bombings in three different neighborhoods of Baghdad killed more than 90 people on Wednesday and wounded scores more, the Iraqi authorities said. Oil and geopolitics crossed paths repeatedly throughout the 20th century. And perhaps nowhere were the political effects of their intersection more pronounced than in Iran. For nearly five decades, the Anglo-Persian Oil Co., later renamed Anglo-Iranian Oil Co., the forebear of what would eventually become British Petroleum, enjoyed near total control over Iran's oil sector. When Iran nationalized the sector in 1951, the United States and United Kingdom responded by overthrowing its architect, Prime Minister Mohammad Mossadegh, just two years later. Those events heavily influenced the 1979 Iranian Revolution, a foundational element of which was resource nationalism. And now it appears that BP is returning to its roots. During the week of May 2, the head of Iran's national oil company announced that BP will soon open an office in Tehran. Meanwhile, the country is opening up its energy sector and considering admitting foreign oil companies to set up joint ventures and operate oil fields there for the first time since 1979. But Iran faces new challenges. To revive his country's economy after years of sanctions, President Hassan Rouhani is now driving an initiative to reinvigorate the oil sector. To do so, Rouhani will have to break what has become a steady cycle of backlash - aimed at foreign and domestic actors alike - over the distribution of oil revenue in Iran. Dr. Christopher J. Lamb is Director of the Center for Strategic Research, Institute for National Strategic Studies (INSS), at the National Defense University. Ms. Susan Stipanovich is Program Manager for the Program on Irregular Warfare and Special Operations Studies at INSS. For an in-depth explanation of the Bosnia Train and Equip task force and its performance, see The Bosnian Train and Equip Program: A Lesson in Interagency Integration of Hard and Soft Power, Strategic Perspectives 15 (NDU Press, March 2014). Challenges the U.S. Intelligence community must overcome to enable effective military operations. 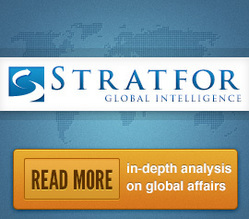 Every successful military plan and operation relies on intelligence. Whether it is a simple field report from a scout about an enemy position or the methodical development of the mosaic of intelligence gathered from myriad sources over years that resulted in the successful raid of Osama bin Laden’s Abbottabad compound, intelligence plays a vital role in our national defense. The diversity and rapidly changing nature of the threats we face as a nation underscore the need for sound intelligence in the hands of those who are charged with making decisions about our security. Since earliest recorded history, accounts of people using espionage to try to understand the intentions of the adversary abound. Early Egyptian pharaohs employed agents of espionage to ferret out disloyal subjects and to locate tribes that could be conquered and enslaved. From 1,000 B.C. onwards, Egyptian espionage operations focused on foreign intelligence about the political and military strength of rivals Greece and Rome. Team Putin is talking up fearsome new hardware that could accelerate a nuclear contest not seen since the Cold War. Actually, no, a single SS-30 rocket with a standard payload of 12 independent warheads, most certainly could not destroy Texas or France. Not immediately. And not by itself. Each of the SS-30’s multiple independently targetable reentry vehicle warheads, or MIRVs, could devastate a single city. But Texas alone has no fewer than 35 cities of 100,000 people or more. Which is not to say the instantaneous destruction of a dozen cities and the deaths of millions of people in a single U.S. state wouldn’t mean the end of the world as we know it. Nobody nukes just Texas. And if Russia is disintegrating Texan cities, that means Russia is also blasting cities all over the United States and allied countries—while America and its allies nuke Russia right back. The report, “From the Bottom, Up: A Strategy for U.S. Military Support to Syria’s Armed Opposition,” examines the current state of U.S. support for opposition groups and makes a case for scaling up that support, including an in-depth look at the groups to support in each region. IN 1935, the anti-Nazi writer and Austrian-Jewish intellectual Joseph Roth published a story, “The Bust of the Emperor,” about an elderly count at the chaotic fringe of the former Habsburg Empire who refused to think of himself as a Pole or an Italian, even though his ancestry encompassed both. In his mind, the only mark of “true nobility” was to be “a man above nationality,” in the Habsburg tradition. “My old home, the Monarchy, alone,” the count says, “was a great mansion with many doors and many chambers, for every condition of men.” Indeed, the horrors of twentieth-century Europe, Roth wrote presciently, had as their backdrop the collapse of empires and the rise of uniethnic states, with Fascist and Communist leaders replacing the power of traditional monarchs. Empire had its evils, as Roth himself details in another great work, The Radetzky March, but one cannot deny empire’s historical function—to provide stability and order to vast tracts of land occupied by different peoples, particularly in Europe. If not empire, what then? In fact, as Michael Lind has intuited, the underpinnings of the global order today attempt to replace the functions of empire—from the rules-based international system to the raft of supranational and multinational groupings, such as the North Atlantic Treaty Organization, the European Union, the International Monetary Fund, the International Court of Justice and the World Economic Forum. Silently undergirding this process since World War II has been the undeniable fact of American power—military, diplomatic and economic—protecting sea lanes, maritime choke points, access to hydrocarbons and, in general, providing some measure of security to the world. These tasks are amoral to the extent that they do not involve lofty principles, but without them there is no possibility for moral action anywhere. This is not traditional imperialism, which is no longer an option, but it is a far more humane replacement for it. Blending gumshoe investigations with high-tech research, Pittsburgh has become a hotbed of the Justice Department’s fight against international hackers. PITTSBURGH — The portraits of Chinese army officers mounted on poster board stare down from the walls of the FBI’s western Pennsylvania field office. Though they will probably never see the inside of a courtroom, the five men represent the culmination of arguably the most significant cybercrime investigation to date carried out by federal agents based in Pittsburgh: the case against the People’s Liberation Army hackers who were indicted in 2014for stealing industry secrets from the computers of major American companies. Over the last 15 years, Pittsburgh has emerged as a perhaps surprising center of high-profile cybercrime investigations. Down in Washington, FBI Director James Comey complains that encrypted communications and other data advances have resulted in investigations going “dark” as suspects evade the government’s efforts to nab them online. But 250 miles away in the Steel City, prosecutors have blended gumshoe tactics, sophisticated digital tools, and the area’s high-tech research centers to unmask and charge hackers and organized crime bosses from China to Russia. “Companies were being intruded upon, and they didn’t understand it,” said U.S. Attorney David Hickton, who took up the top prosecutor’s job in Pittsburgh in 2010 and stepped up the office’s crackdown on cybercrime. When it comes to reducing online harassment, deeper social change could have a bigger impact than fighting back one jerk at a time. Let’s get this out of the way first: The Internet is the real world. What you say online is still you saying something—even if you’re shielded by an anonymous account; even if you’re saying it just to be provocative, or performative, or God only knows why else. You on the web is still you, just like you on the telephone is you. Technology doesn’t magically make a person’s behavior inauthentic, or pretend, or inconsequential. The answer, of course, is that we are our real selves online as much as we are our real selves anywhere else. The Internet is the real world! This stuff should be easy. But it gets harder from here. Harassment has been a serious problem online since the dawn of the web. In 1984, scientists puzzled over the “surprising prevalence of rudeness, profanity, exultation, and other emotional outbursts,” that seemed to characterize computer-based communications, The New York Times reported that year. Today, the majority of Internet users have witnessed name-calling and attempts at humiliating someone online, according to a 2014 Pew survey—and 40 percent of those surveyed said they’d experienced such treatment (or more severe forms of harassment) themselves. Among those who have been harassed, many episodes went beyond name calling to include physical threats, stalking, sexual harassment, or sustained attacks over time. Men (44 percent) were more likely than women (37 percent) to experience online harassment of any kind, but much of the worst harassment is disproportionately targeted at women—and young women, in particular. The following is a two-part series on how the U.S. might better utilize cyberspace and information operations as a Third Offset. Part I will evaluate current offset proposals and explores the strategic context. Part II will provide specific cyber/IO operations and lines of effort. In 2014, then Secretary of Defense Hagel established the Defense Innovation Initiative, better known as the Third Offset, which is charged with recommending ways to sustain American military superiority in the face of growing capabilities fielded by powers such as Russia and China. [i] The purpose of the Third Offset is to “pursue innovative ways to sustain and advance our military superiority” and to “find new and creative ways to sustain, and in some cases expand, our advantages even as we deal with more limited resources.” He pointed to recent historical challenges posed by the Soviets in the 1970’s which led to the development of “networked precision strike, stealth and surveillance for conventional forces.” Centrally-controlled, inefficient Soviet industries could not match the U.S. technological advantage, and their efforts to do so weakened the Soviet economy, contributing to its collapse. Today, China represents the most significant long-term threat to America and will be the focus here. A number of leading organizations, both within and outside government, have put forward recommendations for a Third Offset. However, these strategies have sought to maintain or widen perceived U.S. advantages in military capabilities rather than target China’s critical vulnerabilities. More importantly, these strategies are predicated on merely affecting China’s decision calculus on whether to use force to achieve its strategic aims – i.e., centered around avoiding war between the U.S. and China. This misunderstands China’s approach and strategy. China seeks to win without fighting, so the real danger is not that America will find itself in a war with China, but that America will find itself the loser without a shot being fired. This paper proposes a Cyberspace-IO Offset strategy directly attacking China’s critical vulnerability: its domestic information control system. By challenging and ultimately holding at risk China’s information control infrastructure, the U.S. can effectively offset China’s advantages and preserve America’s status as the regional security guarantor in Asia. How have Army-related searches changed over time and across locations? What sorts of questions and concerns are prevalent in Army-related searches? How is the number of relevant searches related to the number of people who enlist? This report assesses empirical applications of web search data and discusses the prospective value such data can offer Army recruiting efforts. The authors examine three different tools — Google Trends, Google AdWords, and Google Correlate — that can be used to access and analyze readily available, anonymous data from Internet searches related to the Army and to Army service. They found that Google search queries can inform how interest in military careers has evolved over time and by geographic location and can identify the foremost Army-related concerns that potential recruits have. Moreover, by analyzing how search terms correlate across time, it is possible to predict with reasonable accuracy what non-Army related terms people are searching for in the months before or after an Army query. These queries serve as leading and lagging indicators of army-related searches and can offer a glimpse into the concerns of individuals near the time period when they are considering joining. The results suggest that search terms can serve as an indicator of propensity and can be incorporated into models to predict highly qualified Army accessions. Civilian drones are a popular topic in 2016, providing inspiration for countless onlinemedia hot takes, TV news segments, and late-night discussions at the bar (though you should never drink and drone!). As with any new and novel technology that most people are unfamiliar with, a lot of confusion, misunderstanding, and outright BS surrounds drones. So as part of Slate’s Futurography package on the “creepiness” of drones, I’ve compiled some of the most common misunderstandings people have about this exciting (and excitingly controversial) technology. While consumer drones are becoming increasingly popular, many people still envision a General Atomics MQ-1 Predator when they hear the word drone. They assume that the camera-carrying quadrotors you can buy on Amazon or in pricy airport stores are simply smaller, less-sophisticated variants on military technology. Common sense as the military connection to consumer drones seems, it’s not actually accurate: While Predators and DJI Phantom 3s are both unmanned aerial vehicles with some autonomous capabilities, they have very different origins and exceedinglydifferent capabilities. To use an analogy, a Predator is like an aircraft carrier and a DJI Phantom 3 is like a rowboat: They’re both technically boats, but you wouldn’t assume they’re capable of the same things—or used for the same purposes. Editor’s note: While General Douglas MacArthur was stationed in Australia and acting as Supreme Commander of Allied Forces in the Southwest Pacific Area, he penned this prayer for his only son, Arthur.